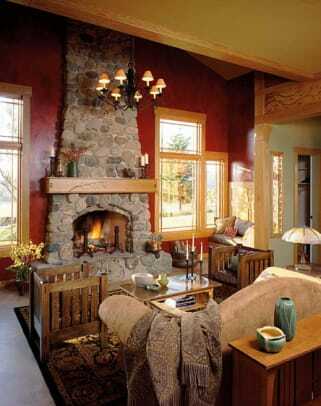 In the philosophy of Arts & Crafts, the fireplace is idealized as the centerpiece of family life: hearth and home. 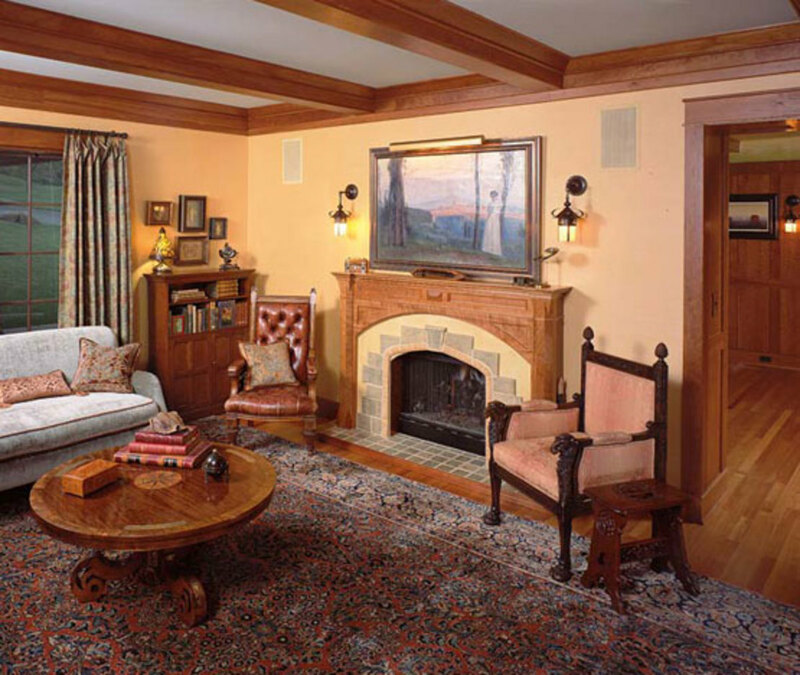 At Gustav Stickley’s Craftsman Farms, his own family’s abode, multiple fireplaces are famously clad in iridescent Grueby tiles, or feature hand-hammered copper hoods inscribed with uplifting mottoes. 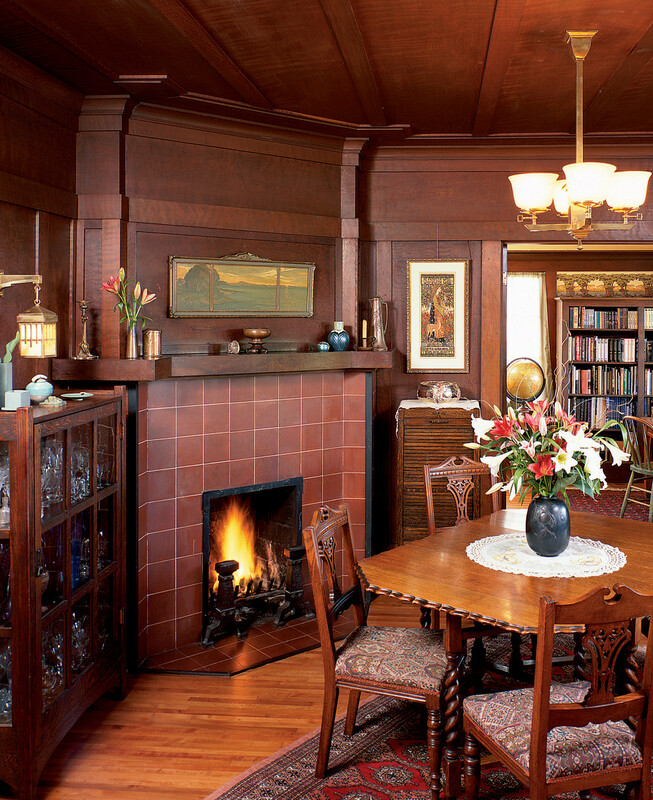 Although not every builders’ bungalow got a fireplace—or at least not a fancy one—plenty of period examples survive to inspire us. 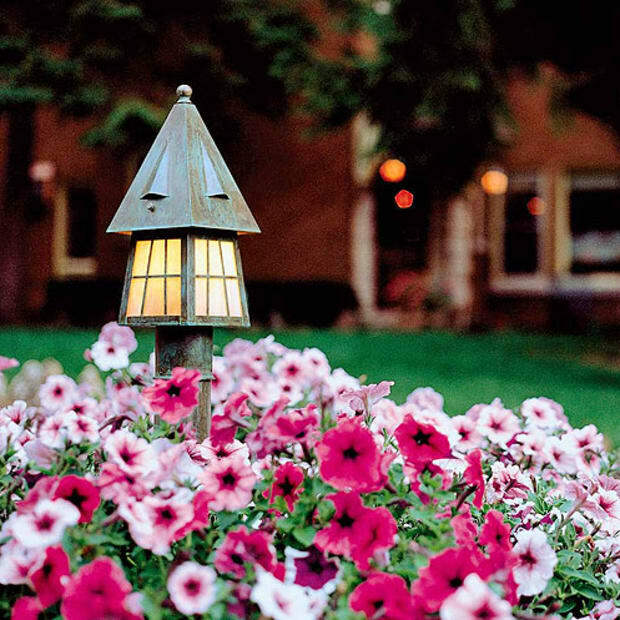 The seven examples shown here are, however, in newer homes. As in most revivals, the best work of an era is reproduced more widely. 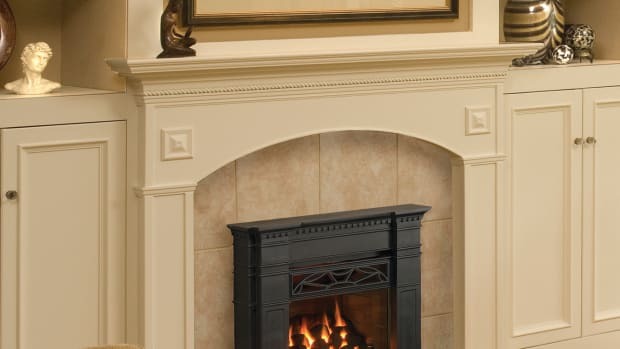 Curved corbels and mantel are made of American gumwood. 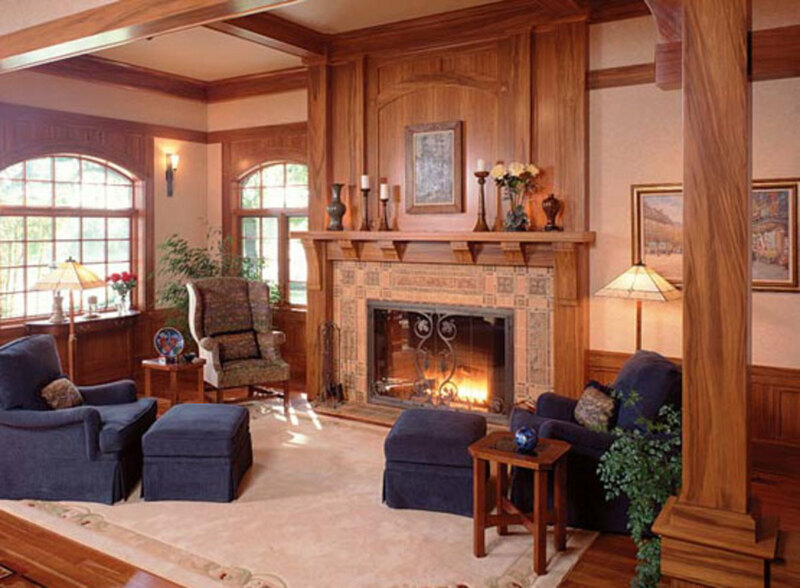 Arts & Crafts fireplaces come in many variants: Rustic, Mission, Asian, English or Art Nouveau . 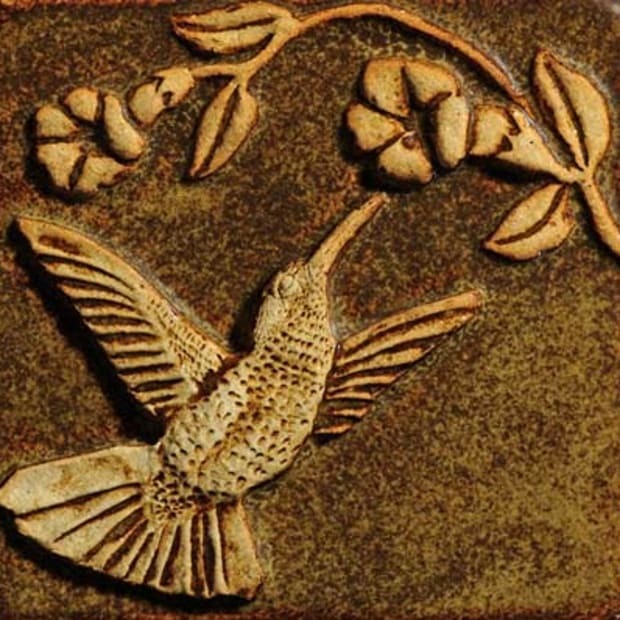 . . and in wood, brick, stucco, or art tile. 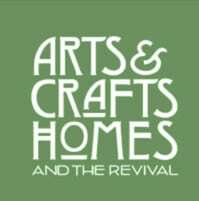 Today’s revival fireplaces are deliberate and artful, showcasing the talent of the mason, the woodcarver, or the pottery. 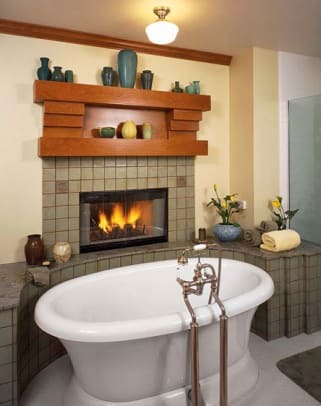 Fireplaces are the focus of cozy inglenooks, they warm bathers, and they showcase vases and metalwork. New fireplace in English Historical Revival mode, to match a ca. 1920s house. The “bungalow era” of the early 20th century was the first to assure comfortable central heating as a matter of course. 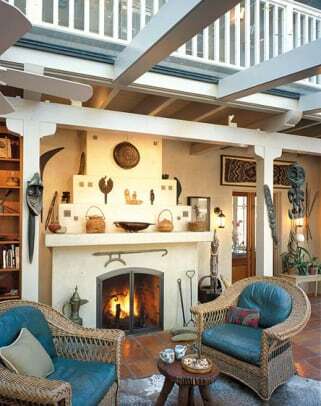 Then as now, these recreational fireplaces were symbolic. 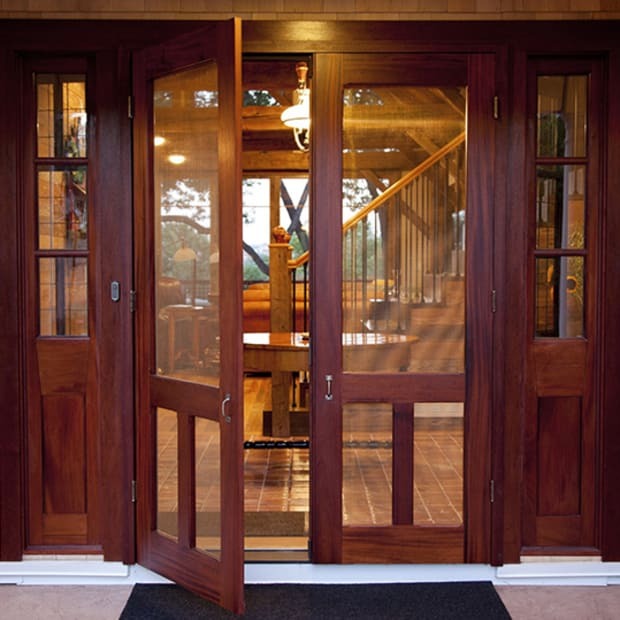 But they sure are a showcase for beautiful work, and a defining element of the Arts & Crafts interior. 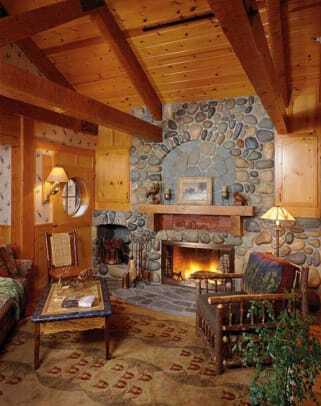 Browse an eye-opening list of specialist products and manufacturers to beautify the hearth (and discreetly distribute heat), all suitable for bungalows, Craftsman-era homes, and those of the Arts & Crafts Revival. 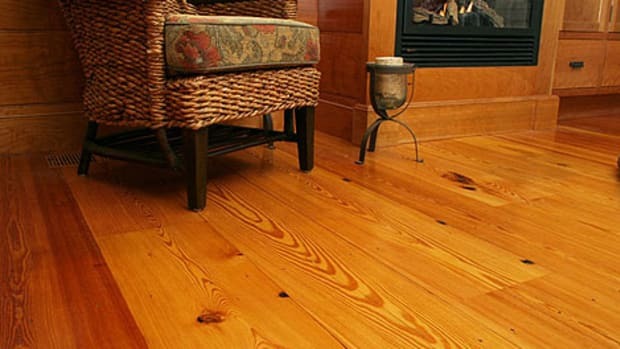 The editors of Arts & Crafts Homes show you beautiful, timeless flooring types for your bungalow or new house in the Arts & Crafts spirit. 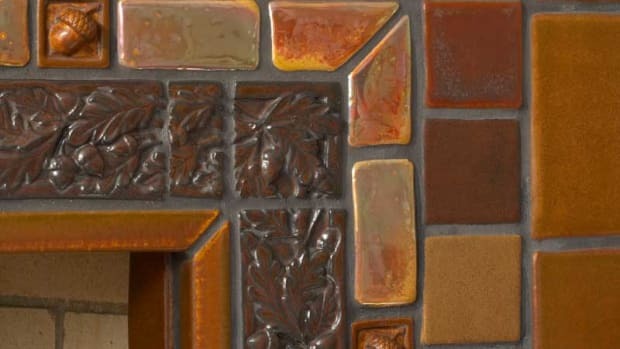 Practical and artistic, tile is preferred for new fireplaces.